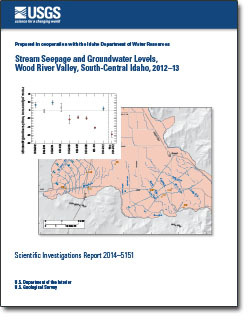 Mebane, Christopher A.; Mladenka, Greg; Van Every, Lynn; Williams, Marshall L.; Hardy, Mark A.; Garbarino, John R.
Mebane, C.A., Mladenka, G.C., Van Every, Lynn, Williams, M.L., Hardy, M.A., and Garbarino, J.R., 2014, Selenium in the upper Blackfoot River watershed, southeastern Idaho, 2001–12, with an appendix on selenium speciation analytical methods, by Garbarino, J.R. (ver.1.1, August 2015): U.S. Geological Survey Scientific Investigations Report 2014-5203, 34 p., plus appendixes, http://dx.doi.org/10.3133/sir20145203. 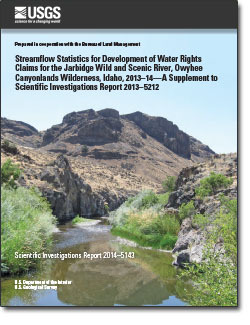 Stream seepage and groundwater levels, Wood River Valley, south-central Idaho, 2012-13; 2014; SIR; 2014-5151; Bartolino, James R.
Streamflow statistics for development of water rights claims for the Jarbidge Wild and Scenic River, Owyhee Canyonlands Wilderness, Idaho, 2013-14: a supplement to Scientific Investigations Report 2013-5212; 2014; SIR; 2014-5143; Wood, Molly S.
Etheridge, Alexandra B.; MacCoy, Dorene E.; Weakland, Rhonda J.
Water-quality and biological conditions in selected tributaries of the Lower Boise River, southwestern Idaho, water years 2009-12; 2014; SIR; 2014-5132; Etheridge, Alexandra B.; MacCoy, Dorene E.; Weakland, Rhonda J.
Bartholomay, Roy C.; Maimer, Neil V.; Wehnke, Amy J. 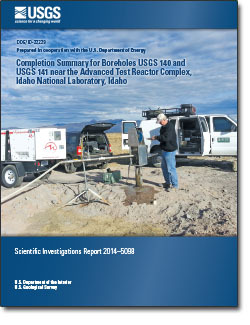 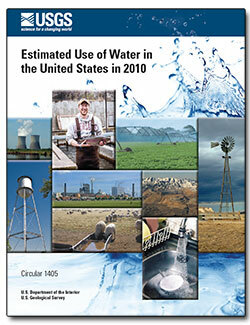 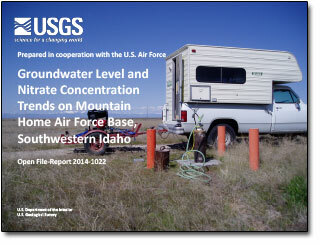 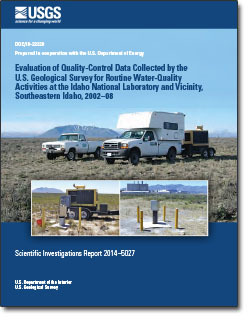 Field methods and quality-assurance plan for water-quality activities and water-level measurements, U.S. Geological Survey, Idaho National Laboratory, Idaho; 2014; OFR; 2014-1146; Bartholomay, Roy C.; Maimer, Neil V.; Wehnke, Amy J. 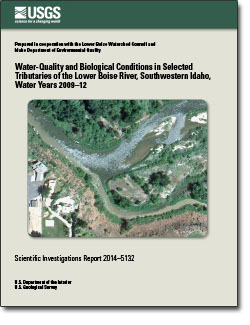 Wood, Molly S.; Williams, Marshall L.; Evetts, David M.; Vidmar, Peter J. 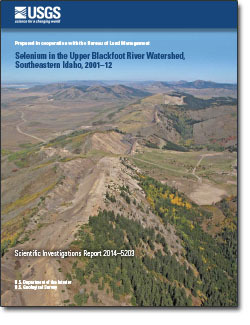 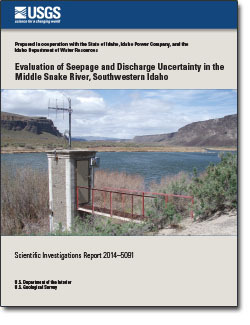 Evaluation of seepage and discharge uncertainty in the middle Snake River, southwestern Idaho; 2014; SIR; 2014-5091; Wood, Molly S.; Williams, Marshall L.; Evetts, David M.; Vidmar, Peter J.
Mercury concentrations in water, and mercury and selenium concentrations in fish from Brownlee Reservoir and selected sites in Boise and Snake Rivers, Idaho and Oregon, 2013; 2014; OFR; 2014-1099; MacCoy, Dorene E.
Evaluation of quality-control data collected by the U.S. Geological Survey for routine water-quality activities at the Idaho National Laboratory and vicinity, southeastern Idaho, 2002-08; 2014; SIR; 2014-5027; Rattray, Gordon W.
Groundwater level and nitrate concentration trends on Mountain Home Air Force Base, southwestern Idaho; 2014; OFR; 2014-1022; Williams, Marshall L.